After a military experiment gone wrong, Nicolas Cage’s body is transformed into a walking ammunition cache, capable of firing every bullet on his body outward, killing many enemies at once. 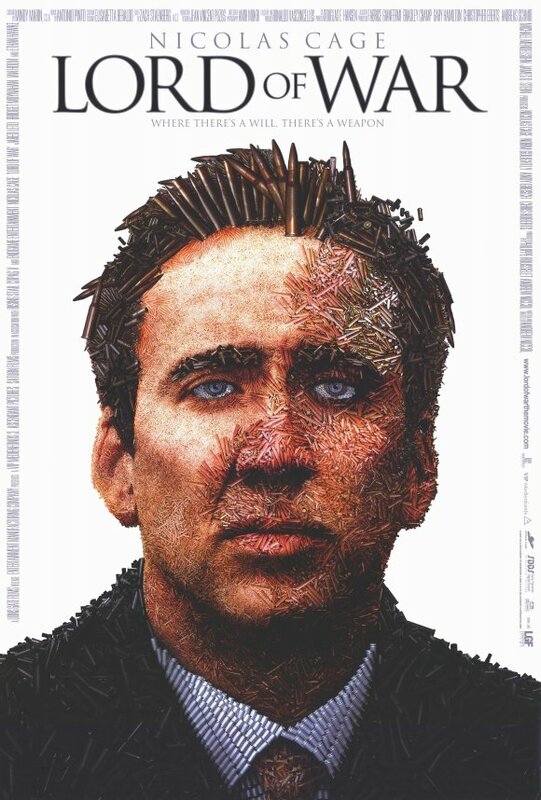 Obviously, the government tries to use this freak accident to their advantage, turning this once mild-mannered scientist into a living weapon – the “Lord of War.” However, due to the cold metal replacing his warm flesh, Cage realizes that he’s lost his humanity, and turns on the government in order to find a cure for himself. With the aid of his gorgeous lab assistant/former lover, he outwits and outguns the special force sent to capture him as he desperately attempts to get his life and love back. Nicolas Cage plays Yuri Orlov, who sells Soviet weapons after the Cold War to Third World nations, making him millions. However, he begins to have doubts about what he is doing. But Orlov’s dealings lead to him being chased by an Interpol agent who wants to put a stop to his underground business. If you want to watch two hours of a guy selling stuff and feeling bad about it be my guest, but I’ll take a guy who can shoot bullets out of any part of his body, especially the hilarious parts of his body, any day of the week.